Above: The FIDF delegation marches into Auschwitz-Birkenau on April 15. 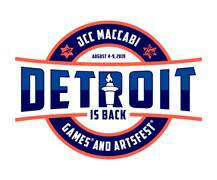 Michigan FIDF supporters travel to Poland and Israel. 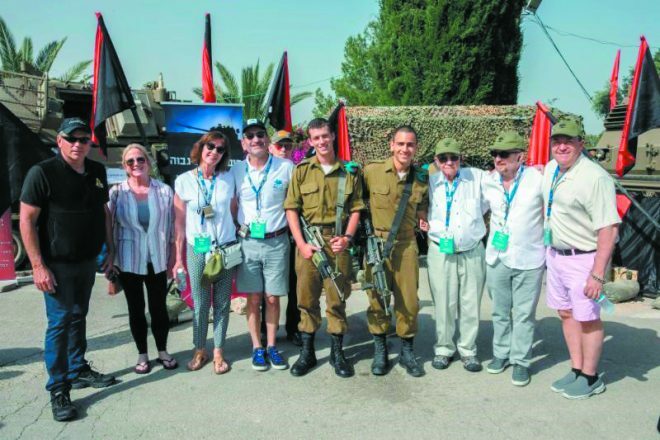 More than 150 Friends of the Israel Defense Forces (FIDF) supporters from across the United States embarked on a mission to Poland and Israel, which concluded recently, with Holocaust survivors and 50 soldiers and officers representing all branches of the Israel Defense Forces (IDF). The mission was the largest in FIDF’s history, and celebrated Israel’s 70th anniversary, as well as the establishment of the IDF on May 26, 1948, two weeks after the creation of the state of Israel. Midwest FIDF supporters at Israel’s official memorial site for fallen soldiers from the armored corps in Latrun on April 18. 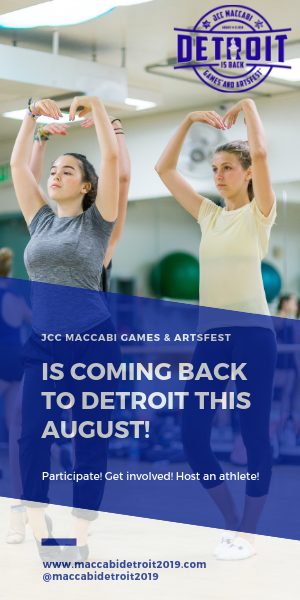 “FIDF was honored to bring local supporters on this mission from Poland to Israel, which provided an unmatched, deeply powerful connection to the very core of Jewish identity, taking in the sweeping breadth of the Jewish experience,” said FIDF Michigan Development Director Paula Lebowitz. Joining the delegation was Auschwitz survivor Leon Shear, 91, who was born in Bedzin, Poland, and watched his mother and sister being sent to the gas chambers at Auschwitz-Birkenau. Except for his brother, who also resides in the United States, his entire family perished in the Holocaust. Shear now lives in Beachwood, Ohio. Auschwitz-Birkenau survivor Leon Shear celebrated his bar mitzvah on the FIDF flight from Poland to Israel on April 16. 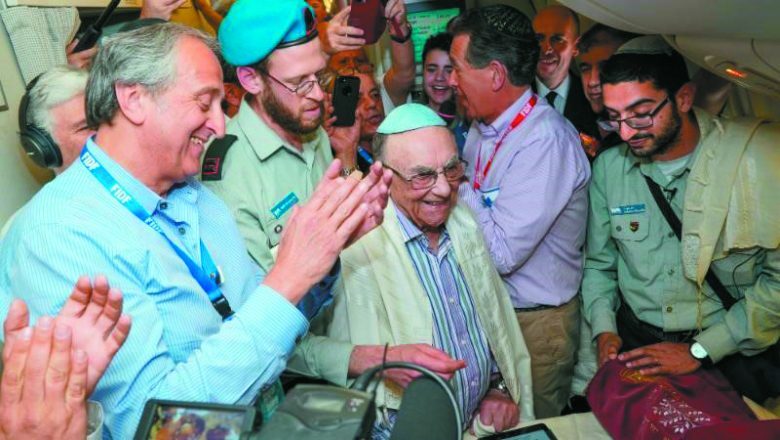 In one of the most emotional and surprising moments of the FIDF mission, Shear, who never had the opportunity to celebrate his bar mitzvah because of the Holocaust, finally had one during the flight from Poland to Israel. Taking advantage of having a rabbi, IDF soldiers and a Torah on board, Shear’s spontaneous ceremony symbolized the journey of the Jewish people from Holocaust to independence. Also joining the group from Israel were Holocaust survivors Eva Lavi, 81, and Arie Oz, 82. At just 6 years old, Lavi was the youngest person on German industrialist Oskar Schindler’s list, which helped spare the lives of some 1,200 Jews who were destined for Auschwitz. Born in Germany, Oz fled to Holland, where a Christian family hid him. From their attic, he watched Allied bombers attack the Nazis and dreamed of one day becoming a pilot. Oz moved to Israel after the war and joined the Israeli Air Force, flying in Israel’s historic wars and operations and retiring with the rank of lieutenant colonel. The nine-day “From Holocaust to Independence” mission spanned Jewish history from its darkest moments to its most triumphant. Israeli soldiers and Holocaust survivors accompanied the FIDF supporters on a trip across Poland, starting in Krakow, once home to more than 60,000 Jews, and tracing the community’s steps from the city’s ghetto to the Buczyna forest, where the Nazis executed more than 800 children, and then to the Auschwitz-Birkenau concentration and extermination camps. 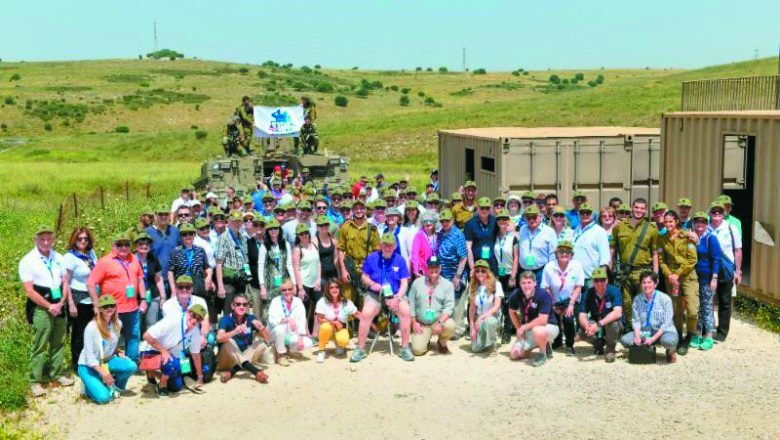 The entire delegation then flew to Israel, where they visited IDF bases and met soldiers serving on Israel’s front lines, commemorated Yom HaZikaron — Israel’s Memorial Day for fallen soldiers and victims of terror — and celebrated Israel’s 70th Independence Day. The delegation met with Israel’s prime minister, Benjamin Netanyahu, and president, Reuven Rivlin. 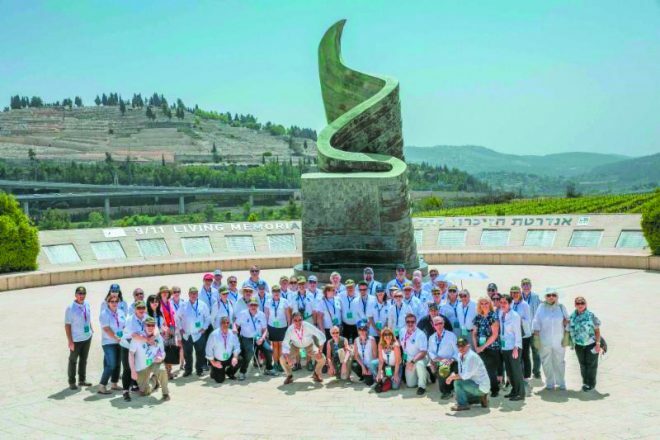 “This historic delegation traces the modern history of the Jewish people through the memories of Holocaust survivors and the eyes of IDF officers,” said FIDF National Director and CEO Maj. Gen. (Res.) Meir Klifi-Amir.